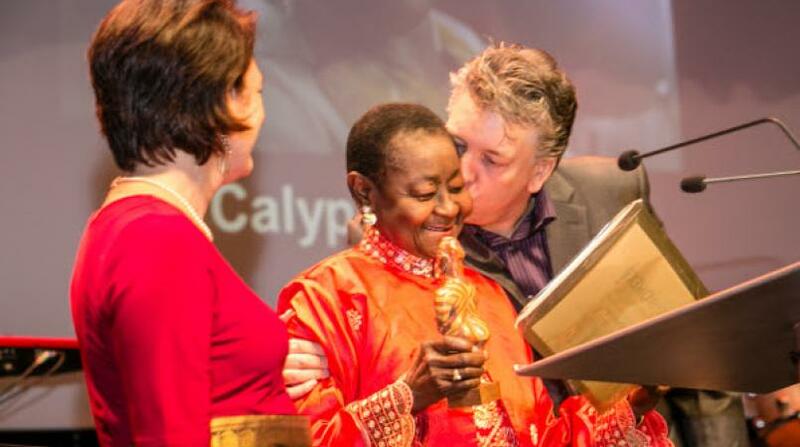 Calypso Rose made history on Friday when she became the oldest performer at Coachella. 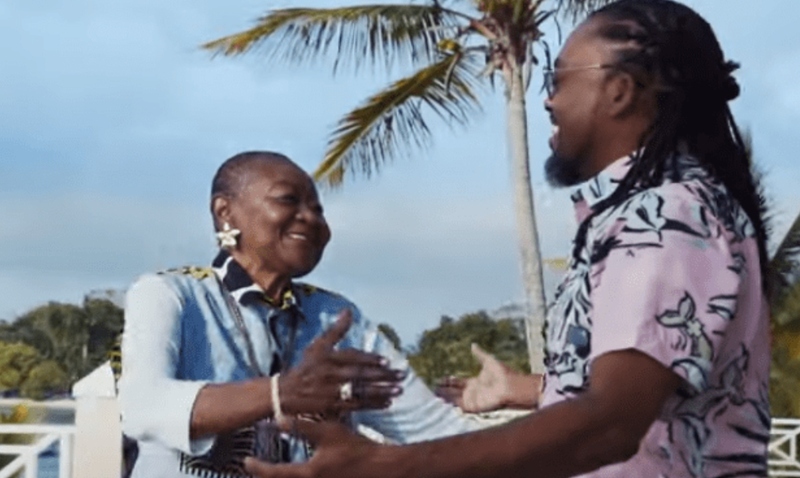 Machel Montano was her guest act. 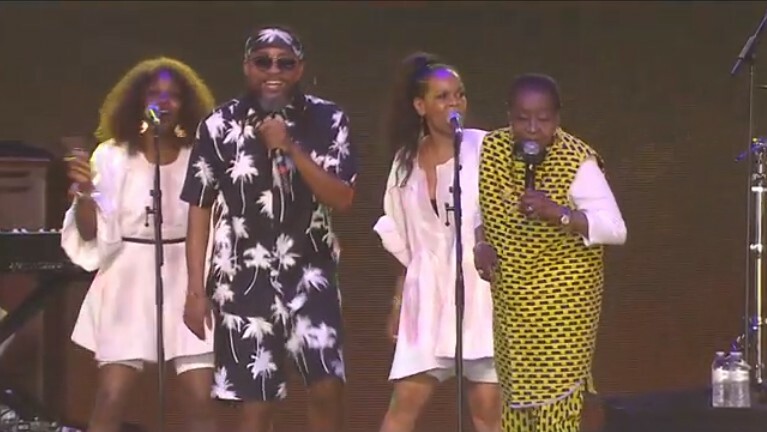 Calypso Rose gave fans a scare last night when she fell during her performance at Coachella. However, in her indomitable style, she played it off and continued performing like normal. Rose fell during her performance of 'Young Boy'. While on the ground she continued wining and sang that a young boy threw her down. 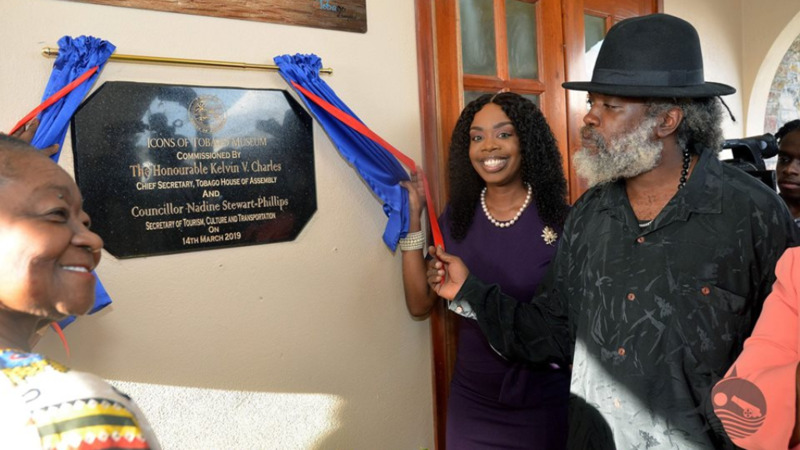 She was eventually helped up by a group of people including soca star Machel Montano who guest -performed with her and DJ Walshy Fire. The crowd roared with delight when she got back on her feet. Rose, who celebrates her 79th birthday on April 27, was the oldest person to ever grace a Coachella stage and the first calypsonian. She entertained the crowd with a full set including songs such as 'Tempo', 'Leave me Alone', 'Fire Fire' and 'Abatina' at times declaring "I am the queen". Her performance elicited pride from Trinidadians and Tobagonians and even helped her to gain new fans. "i don't even know who Calypso Rose is, but now i'm a fan #Coachella," said one man. Others found her just adorable.